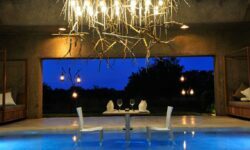 Earth Lodge is symbolises the new era in luxury South African safari lodges. Sculpted into a slope of the earth, almost invisible in the landscape, the lodge uses texture, light and space to present a lodge like no other. 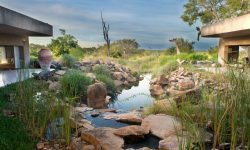 Taking its cue from the surrounding environment, it has been described as the most environmentally sensitive lodge in Africa. Earth Lodge reveals itself in a series of sensory revelations. On arrival a guests are lead down the hidden corridor to give a unique and unforgettable experience. As in nature everything at Earth Lodge exists in harmony and guests are immediately made to feel a sense of calm and tranquillity. 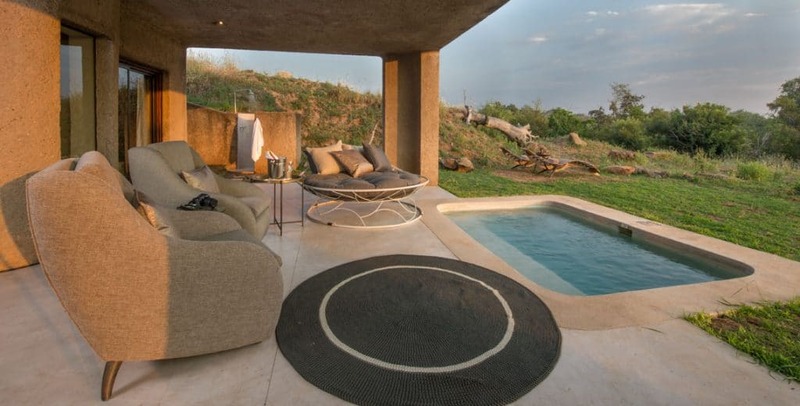 The lodge consists of 13 ultra-luxurious suites including the Amber Presidential Suite. 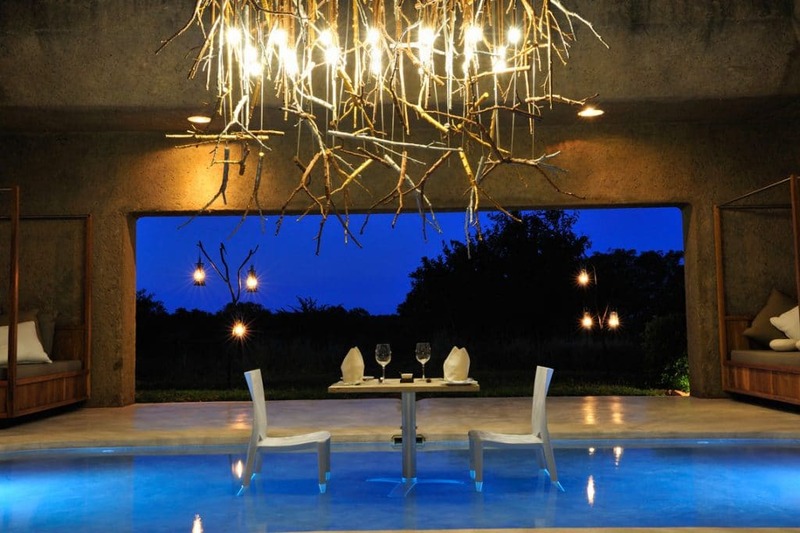 Sabi Sabi Earth Lodge breaks with traditional bush lodge style to create a masterpiece of artistry and innovation. Each of the suites have individually designed furniture, private plunge pool, en-suite glass fronted bathroom and indoor and outdoor shower. The natural wooden sculptures by renowned South African artist Geoffrey Armstrong. Beyond belief in its beauty, from the magnificent carved wooden headboard to the deep egg-shaped bath, the suite boasts its own steam room, study and kitchen. It captures the spirit of nature and luxury in one unique experience. The design of the Outdoor Boma have its walls sculpted from tree roots which are piled up piece by piece capturing the drama of the African night. 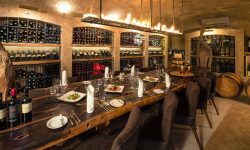 An indoor/outdoor dining area overlooks a waterhole and unending bushveld, a secluded library, art gallery, meditation garden; and an underground wine cellar with a collection of over 6000 bottles of rare wines, the venue for an unforgettable dining experience – everything at this luxury lodge has been created for the guest experience and indulgence. Guests can also relax at the Amani Spa at Earth Lodge and pamper themselves with skin and beauty rituals, treatments and massages.